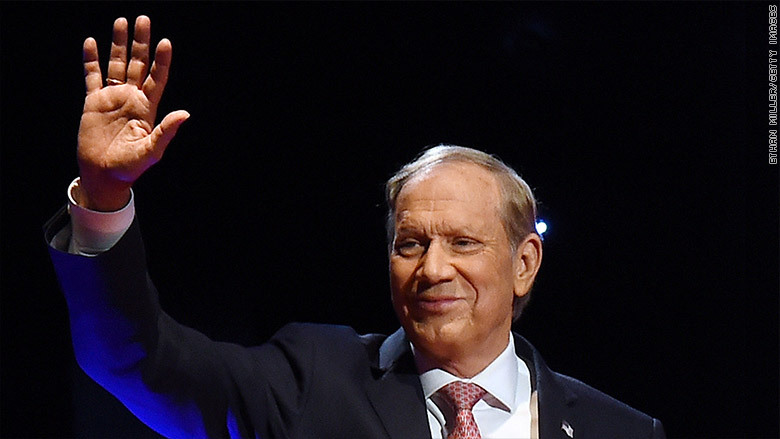 George Pataki worked hard to get his equal time on NBC following Donald Trump's appearance on "Saturday Night Live." Back in November, George Pataki sent a letter to NBC demanding that he be granted "equal time" to match Donald Trump's appearance on "Saturday Night Live." In accordance with FCC rules, the long-shot GOP hopeful was eventually rewarded with a handful of free, two-minute segments on NBC affiliates in the early voting states of Iowa, New Hampshire and South Carolina. The last of those spots was Tuesday night, when Pataki announced that he was dropping out of the presidential race. Despite registering 0.0 in the polls, Pataki had been planning -- up until Tuesday morning -- to use that time to air campaign ads, his spokesperson told CNNMoney. "We filmed two spots," David Catalfamo, Pataki's communications director, said. "We wanted the two minutes to break format and have a 'fireside chat' with voters." "Ultimately," Catalfamo added, "the campaign decided we didn't have the resources to continue effectively." Catalfamo said it was his idea to have Pataki use the NBC time to announce his decision. And at 9 p.m., NBC affiliates in the early states aired the "special message" from the former New York governor instead of the previously scheduled campaign ads. It was a cruel twist, given how hard Pataki had fought for equal time from NBC. Pataki was the first GOP candidate to publicly request "equal time" from the network, and continued negotiating with the network even after other candidates -- John Kasich, Mike Huckabee, James Gilmore and Lindsey Graham -- reached deals for equal time around Thanksgiving. Ultimately, Pataki was given four 2-minute blocks on the Iowa, New Hampshire and South Carolina affiliates: two on Christmas, and two on December 29. His calculation, it seemed, was that the free air time would be more valuable to him closer to the caucuses and primaries. Instead, it provided him with a convenient way to broadcast his exit from the race.